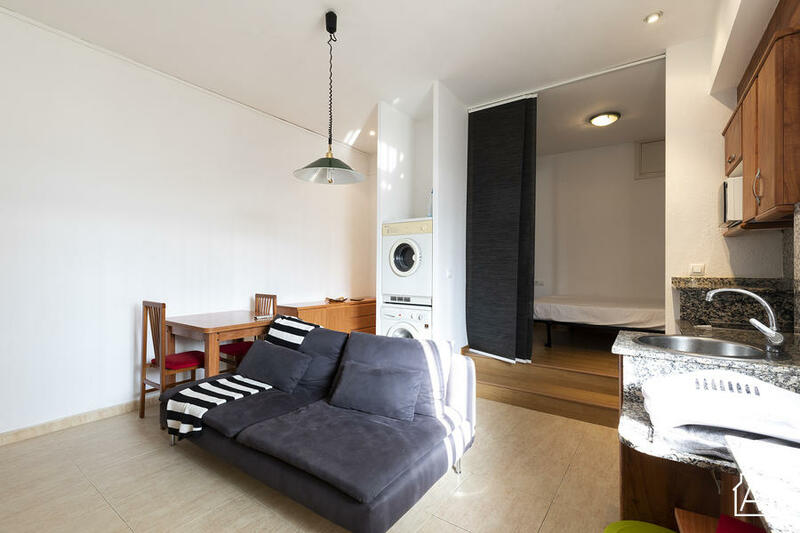 This central studio apartment in Barcelona is located near Plaça Urquinaona, in the heart of Barcelona. Here you will find a number of fantastic bars, restaurants and cafés. The apartment is surrounded by the neighbourhoods of Eixample, Sant Pere and El Born, and the Gothic Quarter. The picturesque Parc de la Ciutadella is also just a short walk away as is the beach neighbourhood of Barceloneta. This area of Barcelona is well connected to the rest of the city by public transport including bus and metro. The train stations of Plaça Catalunya, Passeig de Gràcia and Arc de Triomf are also close by meaning you´ll be within minutes of the towns surrounding Barcelona and beyond. The apartment itself is bright and cozy, and can sleep up to 2 guests with one comfortable double bed. Complete with air conditioning and heaters, this apartment is the ideal Barcelona home at any time of the year.